nicu's FOSS'n'stuff: We are Fedora! 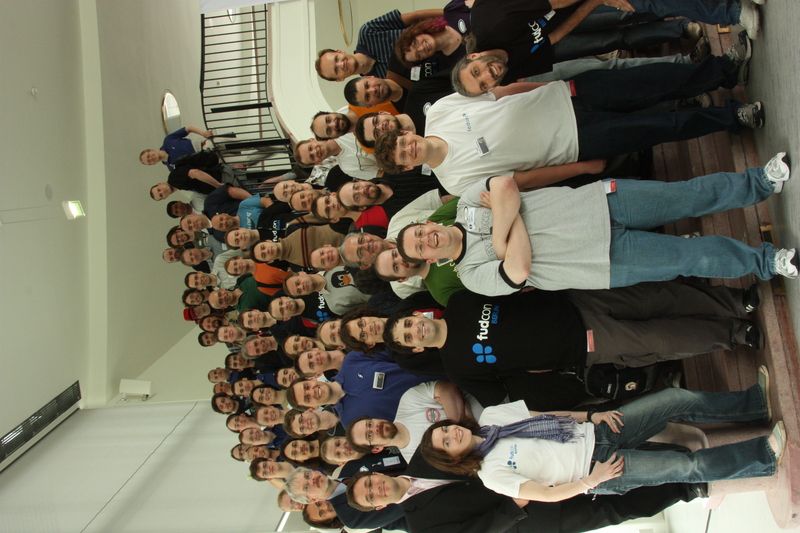 The photo didn't came the best (is rotated a bit), as I didn't have a real tripod with me, but it captures the spirit of our community ant this is all that matter - happy Fedora contributors at the Berlin FUDCon in 2009. If you want to play a bit with it in GIMP, print a poster or whatever (I tried to put it online ASAP, at least a FUDCon logo could be added) a large version is available (CC-BY-SA). Great photo ! It's amazing to see many people that contribute to one open source project get together since they usually work together miles appart. It would be great if the sponsors behind the open source projects would make a little bit more effort to get even more contributors together at least once a year.